Please contact to inquire about House-call visit at your home or venue. Enter directly from the South Side of the building. 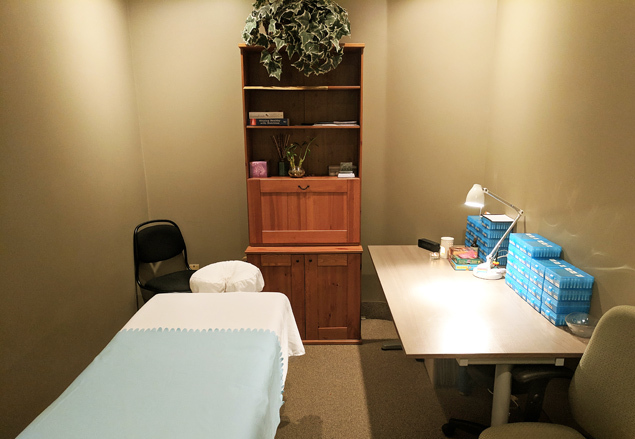 Energy Shiatsu Treatment Room in Oakville. Parking at The Village Healing Centre for your Energy Shiatsu session is free if there is a spot available. 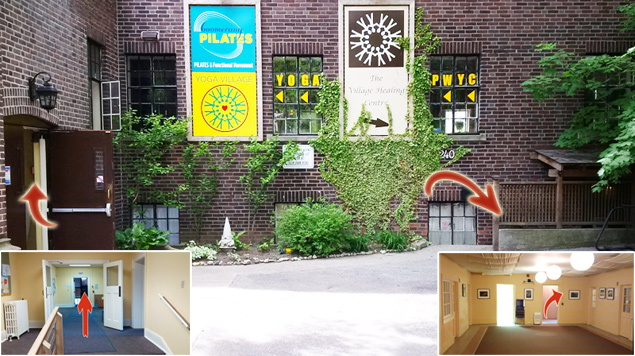 There are 8 clearly marked spots in front of the building with "Village Healing Centre" signs. Please make sure to grab a Parking Slip from the practitioner and place it on your dash. Proceed through the entrance on the left. If it's closed, try the right. 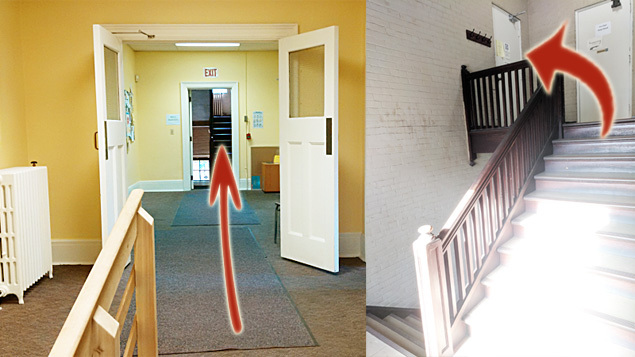 Continue through the fire doors and up to the 2nd Floor. Once at the top, the office is in the large space to your left, suite #4. 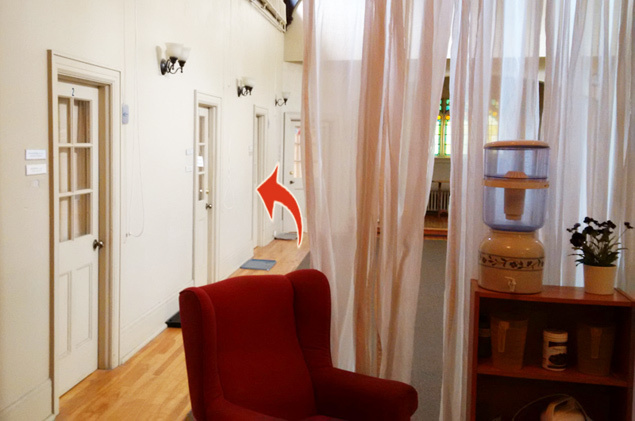 Energy Shiatsu Treatment Room at Roncesvalles in Toronto. For housecall availability and pricing at your home or venue please call or email with your approximate location, a couple of preferred date(s) & time(s), as well as your requirements and expectations. Remote Energy Shiatsu sessions are a convenient way to receive energy healing treatment wherever you are around the world -- no commute or travel required. They are completely safe with no side effects, and as effective as the in-person sessions. 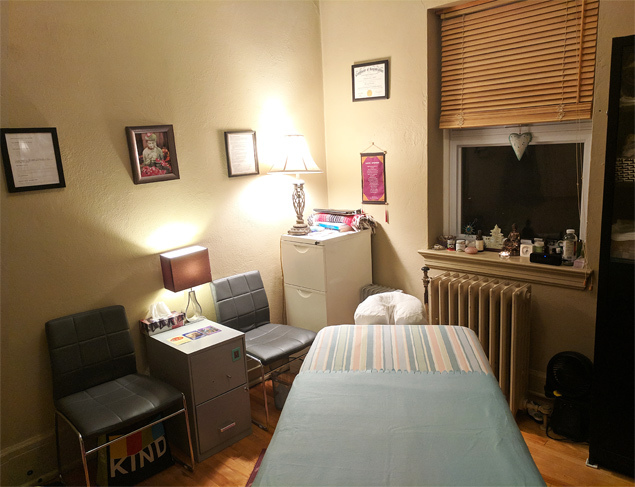 Patients have reported a pleasant sensation of warmth and soft light in their inner vision, followed by a decrease of stress, anxiety, headaches and other discomforts, as well as restored sense of well-being and clarity. Remote healing can either be a relaxing Energy Shiatsu treatment (Reiki Adjustment, grounding & centering or Chakra Balancing), or the Holistic Healing (Subconscious Insights, Talk Therapy and basic Light Coaching). 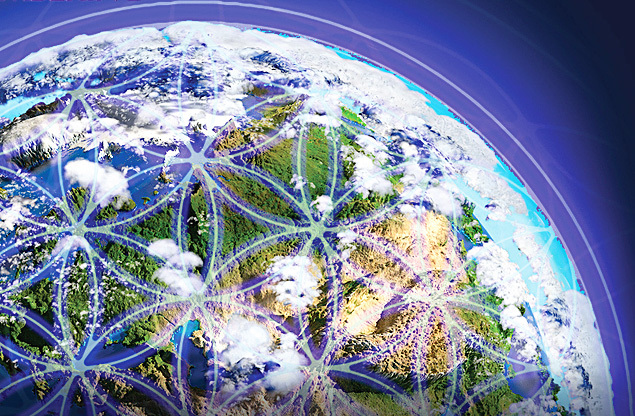 Metaphorically speaking, Remote Energy Healing works kind of like WiFi, but travelling instantly any distance, and is as private and secure. Feel free to ask for more details or just give it a try. In case of the Remote Energy Treatment, we would hang up and ..
All Energy Shiatsu treatments are by appointment only. Please book early to avoid disappointment. There is plenty of free parking available at the back of the building. 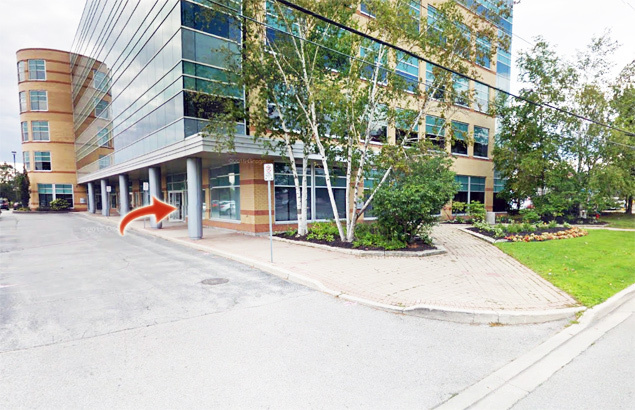 Free Parking is available in front of the VHC building. Look for the "Village Healing Centre" signs and place Parking Slip on your dash. Paid Street Parking is available along Roncesvalles Avenue. Free side-street Parking is by permit or 1-hour short term only. Please read the signage carefully.